I had planned to write about horror today. The season is fast approaching, and 2013 has been a strong year for the genre. While not truly being a horror movie, it does transcend its genre, like the films I mentioned above. What “The Conjuring” did for the haunted house and “You’re Next” did for the home invasion slasher, “Prisoners” does for an abduction thriller. The setup is fairly typical. It is Thanksgiving, and two families come together to celebrate. Everything seems to be fine until Keller Dover (Hugh Jackman) notices that the families two young daughters are nowhere to be found. A manhunt begins, and the police quickly track down an RV that had been parked on the street when the girls went missing. Detective Loki (Jake Gyllenhaal) is pulled away from his lonely meal in a Chinese restaurant to take part, and ends up finding the RV. He arrests the driver, a mentally troubled young man named Alex Jones (Paul Dano), but the girls are still missing. From here “Prisoners” goes in a lot of different directions; ones I didn’t expect it to. References to mazes crop up constantly throughout the movie. The symbolism, while being rather obvious, is appropriate. The search for the missing girls has pulled everyone into a labyrinth, and all of them have to choose which path to take. While Loki is constrained by lack of evidence and law, Keller is driven by desperation and feels betrayed when Loki is forced to set Jones free. Keller takes matters into his own hands, kidnapping Jones, brutally torturing him to find out what he knows. He enlists the other parents played by Terrence Howard and Viola Davis, but they have little stomach for it. As the characters constantly remind us, the chances of finding the girls diminishes by the hour. Time is running out, and the police aren’t getting any closer either. The cast is littered with Oscar nominees, and all are pitch perfect in their performances, especially from Jackman and Gyllenhaal. What really shines is the pacing and cinematography, unsurprising considering they had grandmaster Roger Deakins behind the camera. Deakins fills every shot with detail and reveals just enough to keep you interested and guessing. While at times it felt like director Denis Villeneuve was lingering a bit too long on certain arcs, in the end every scene proved to be essential, leading the characters and the audience deep down into the darkness of the maze he has constructed. 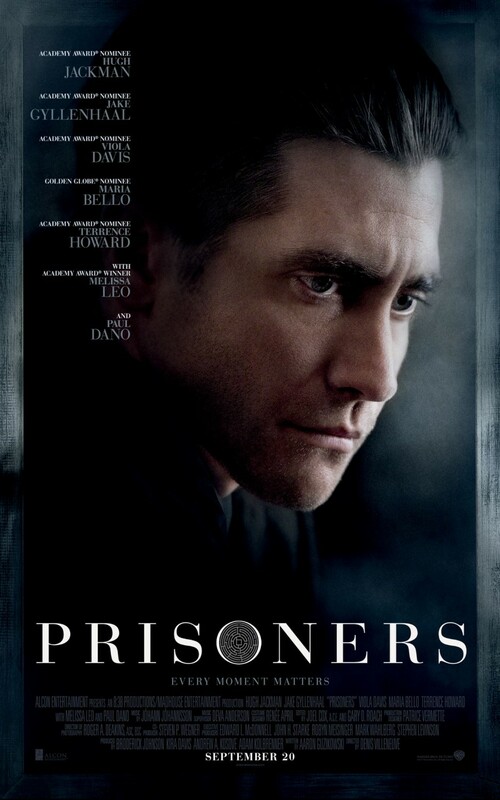 In the end, the less you know about “Prisoners” the better. I’ve done my best not to reveal what the trailers haven’t spoiled already. I will say, however, that there are several moments that just ooze with dread. One scene in particular nearly gave me a panic attack. While the trailers made it seem like a derivative drama, “Prisoners” turned out to be a refreshingly incisive look at the darkness that can arise in our lives. The film’s good qualities bring to mind the sensibilities and technical standards found in David Fincher’s oeuvre, while at the same time juggling multiple plotlines and character arcs throughout. Monsters can take many forms. They can be ghosts, demons, knife wielding maniacs or even Cthulhu. But worst of all, they can be people. Audiences never know who may be hiding monstrous works out of sight. Like Keller and Loki, you have to accept that what you find waiting at the maze’s center might be more evil than you can handle.